A few weeks ago we compiled an alphabetical list of classic rave records that you should be able to find for less than £5 on platforms like Discogs. It was such good fun that we decided to do it again, except this time look at the golden era of hip hop. What defines the actual period of golden era of hip hop varies, but most agree on it being from the late 1980s and early 1990s, so for argument's sake let's say 1987-1993. We looked at golden era hip hop artists from that period and picked out tracks on both U.S and European releases that are currently listed on Discogs for less than five UK Pounds. Some of the records are available in the U.S but we did make a point of finding mostly records that are located in the UK and in some cases Europe. We also stuck with records that were graded VG+. Most of the tracks below are classics, there are a few exceptions, letters V and Z were tough, to the point that we gave up on Z and would be happy to hear your own suggestions. Fierce and unapologetic, pure as it comes with MC Milk kicking one of the rawest hip hop tracks of the late 1980s. 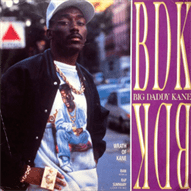 Arguably the best track on this list as BDK drops one of the finest rap tracks of all time. Intense rhymes, beats and horn stabs makes this track still stand the test of time. Chubb Rock had a few years in the limelight and his own style of party flow that kept him at the top of the rap pile for a while with this track being one of his best moments. Most of the D.O.C's material goes for good money on the web, but this release can be picked up fairly cheap still. D.O.C. appeared from the hype that was NWA, but had his own unique style and remains one of hip hop's most revered rappers despite a fairly limited output due to a serious car accident. 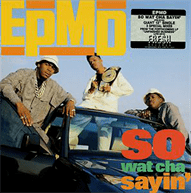 One of the heaviest, phattest tracks of that period, EPMD were on a roll by the time this gem dropped and is well worth the investment today. A classic that took Tenor Saw's ‘Ring the Alarm' track and made it fill the gap between ragga and hip hop quite nicely. DJ Premier is one of hip hop's greatest producers and paired up with Guru, Gang Starr was a formidable force. Recorded at their height of prowess and fame, track it down. What else can we say, it is Jump Around - you need this. By now Ice Cube's output was in full effect and this remains one of his heavier outputs which comes across like the proverbial kick in the teeth. One of the lesser well known tracks compared to other JB's outings but Black is Black is still a good tune to track down for the collection. 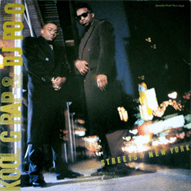 Kool G Rap remains one of hip hop's unsung heroes. There is no doubting his lyrical ability and this release came when him and DJ Polo were at their zenith. Busta Rhymes and his original crew drop sounds typical of the golden era, steady beats, switchable lyrics and chants. One of hip hop's veterans, Masta Ace drops some hot rhymes over a funky beat with interspersed James Brown shouts of ‘I Got Ta'. Still fresh 26 years on and worth the little financial investment. Rock steady pure hip hop with a strong hint of funk and soul from the duo from Queens, New York. Like the aforementioned Kool G Rap and DJ Polo and Gang Starr, these guys are one of hip hop's prime duos. Superb production and awesome lyrical skills make this a real addition to any hip hop collection. Even a full decade after hip hop had broken through, female DJs were still in the extreme minority. Latifah was one of the female rappers to break through early into the mainstream and with that more followed. 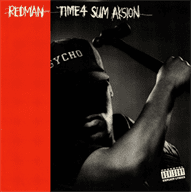 When he wasn't dropping blunted rhymes with his best buddy Method Man, Redman made some of the finest early 1990s hip hop, this one being no exception to that. Special Ed was part of a whole scene of clean cut, polished rappers and this release on Profile remains one of his best moments. Stuttered beats and uncomfortable samples were a trait of 3D and before they broke through this track captures their style perfectly. 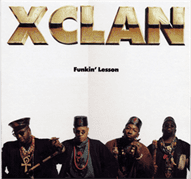 Another monster track for the list, Kool Keith and company were running at a full head of steam when this dropped. Any self respecting hip hop fan should own this. We were struggling when we got to V, and this really isn't a golden era hip hop tune, on the commercial side, but still it can be found for just 50 pence and some might still like it. One of Wu Tang's earliest moments and most of their tracks go for more money than the original prices, which means you should get this whilst it is still fairly cheap. Conscious lyrics and a heavy dose of funk, a really good party tune and still fairly fresh today in our opinion. The real bonus of this track is that it features ultra-classic ‘The Fastest Rhyme' (My Name is Young) on the B side. OK, we give up, this one stumped us, of course there are hip hop acts and rappers that start with the letter Z, but none that fall under the golden years parameter before we even think about them being less than £5.00. The closest we got was with Z-3 MC's and Triple Threat. Triple Threat was a stunningly powerful B Boy action track from 1985, so a couple of years too early and the cheapest copy on Discogs runs at about £8.00 for a VG+ copy. So we have to gracefully accept defeat on that one but have dug out 25 other tracks you could do well to add to your collection. Hopefully along with the new tracks you find via Trackhunter you will find the odd track here that you had forgotten or plain just were not aware of. Even though most of them are getting on for over a quarter of a century old many still sound fresh and are well worth the prices we found them listed for. Have fun digging.